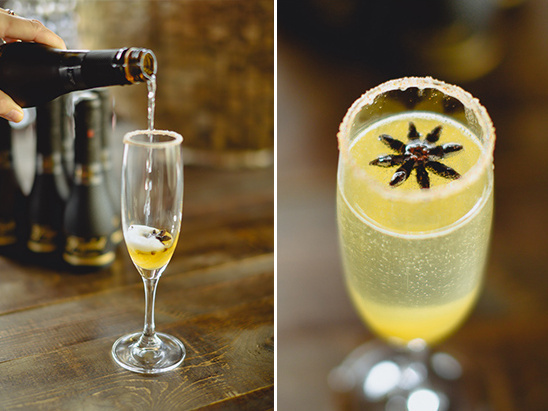 A sparkling cocktail instantly elevates any occasion, especially your wedding. 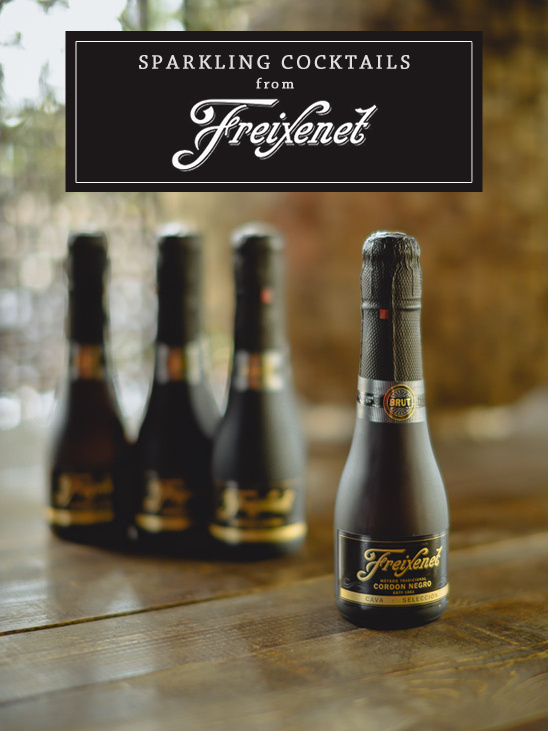 We have a few recipes to share with you that are always well received, and they all have one thing in common - a nice chilled bottle of Freixenet. 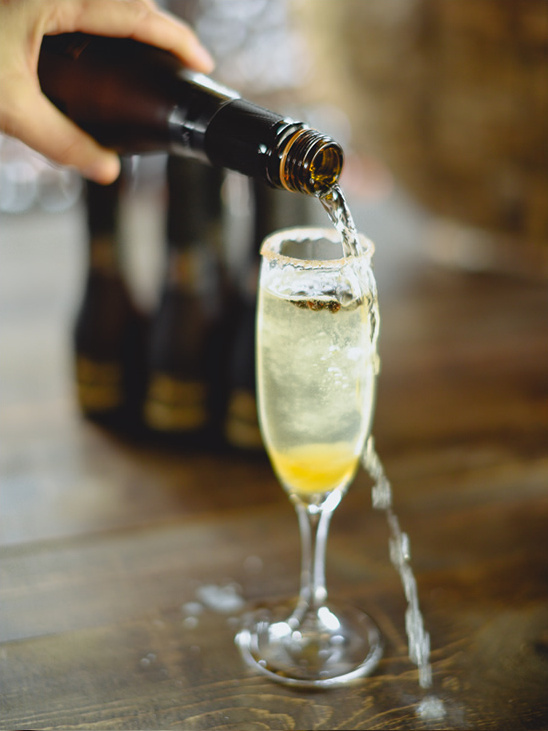 This Spanish Cava is medium-bodied with a palate of apple, pear, and bright citrus flavors with a moderately long finish and a touch of ginger. Now scroll down for some delicious cocktails. 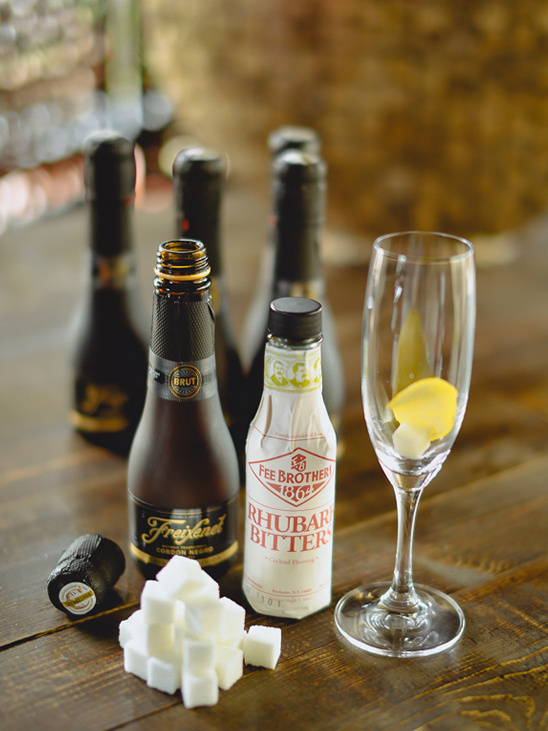 Place a sugar cube* in a chilled champagne flute, lash it with 2 or 3 dashes of bitters (we used Rhubarb), fill the glass with Freixenet, and squeeze a lemon twist on top. * The standard 1/2 teaspoon size sugar cube. Do not use loose sugar or crush the cube. 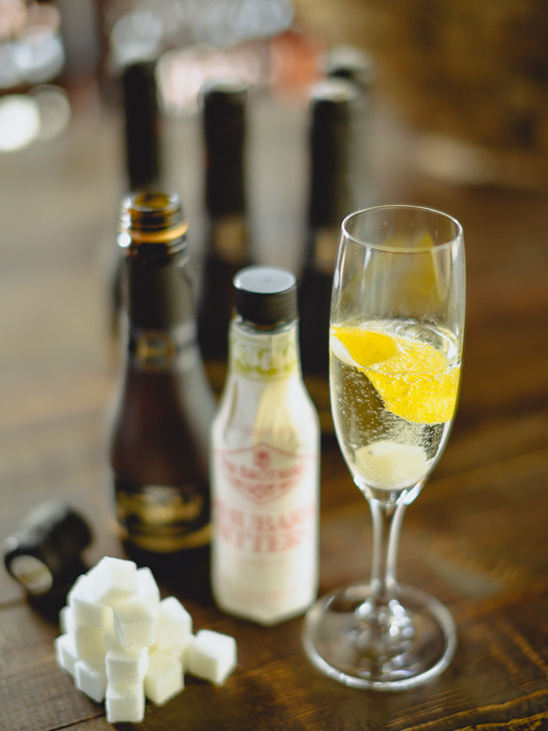 The sugar is not to sweeten the drink, but to create bubbles, which the cube will do as it slowly dissolves. 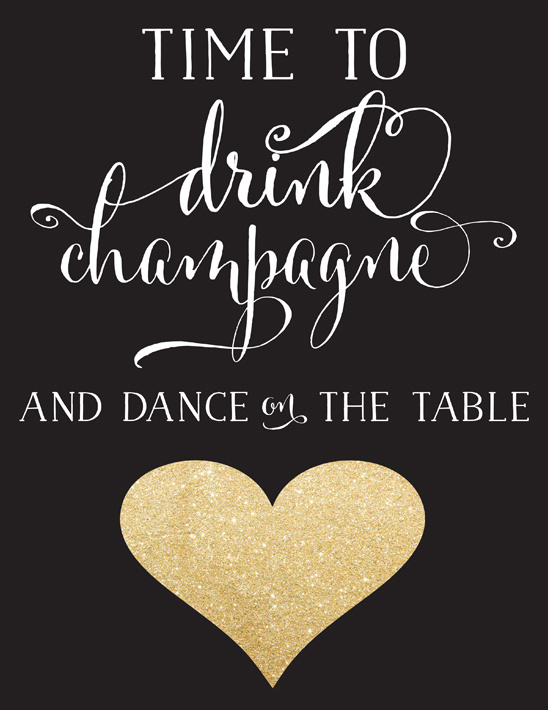 In honor of Freixenet, it is time to drink champagne and dance on the table! Have our 11 X 17 poster sized free printable printed and hung above your cocktail table or bar. Simply upload it here to overnight prints and voila you have your super awesome poster. Please be aware this is a large file and may take several minutes to download! We also made it in an 8.5 X 11 for you as well if you are not looking for a poster sized print! 1. Bring ginger, 2/3 cup of sugar and 1/2 cup water to a boil in a small saucepan. Reduce to a simmer; cook until liquid thickens to maple syrup consistency, about 15 minutes. Remove from heat; let cool. Strain syrup; discard ginger. 2. Combine Chinese five-spice powder and remaining 2 tbsp sugar on a shallow plate. 3. 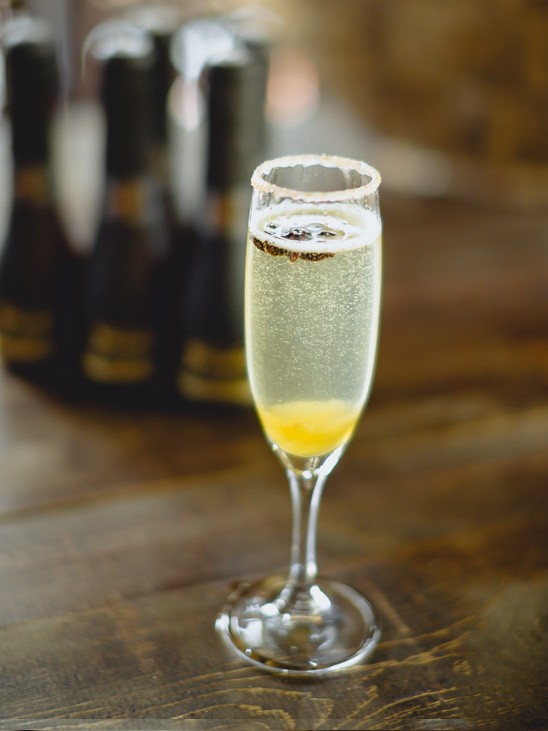 Moisten the rim of Champagne flutes with water and dip in sugar. 4. Drop 1 tsp crystallized ginger and 1 star anise into each glass. Add 1 tbsp syrup. 5. 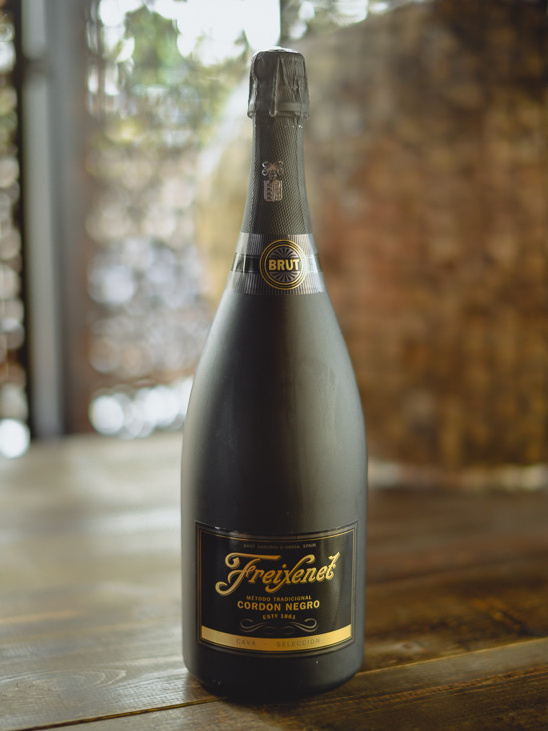 Pour about 3 oz Freixenet (but do not over pour like us, oops). 1. Using a vegetable peeler, peel the peaches, remove and discard the pits, and cut the fruit into large chunks. 2. 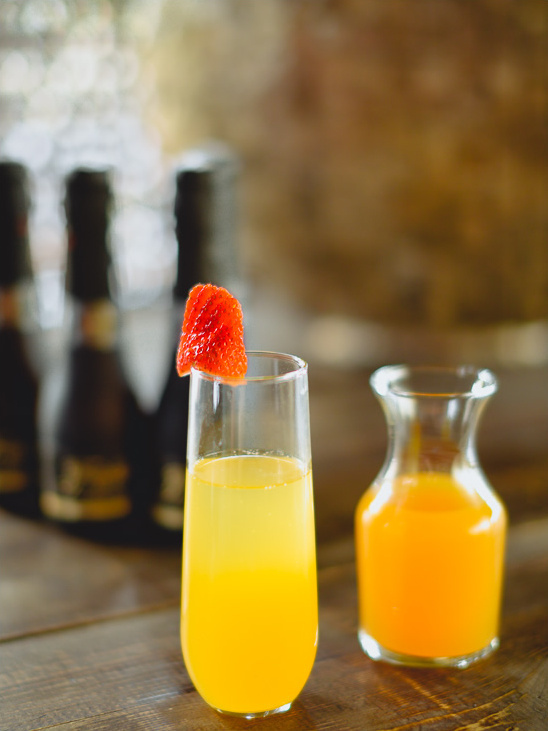 Place the peaches, liqueur, and lemon juice in a blender and purée until smooth. Taste the purée and, if needed, add sugar 1 teaspoon at a time and blend until the purée reaches your desired sweetness. Transfer to a container, cover, and refrigerate until thoroughly chilled, about 2 hours. 3. 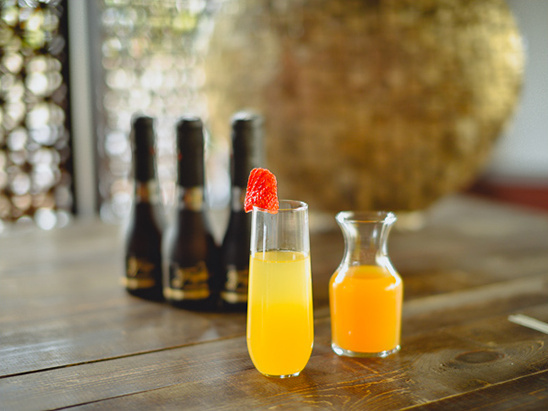 To serve, slowly pour 4 ounces of chilled Freixenet into a glass and add 1.5 ounces of the purée (be careful, the wine will foam), stir gently, and serve immediately; Garnish with a strawberry.